DirectSMS is regarded as a one-stop shop for your marketing and communications needs, offering an easy-to-use, versatile and practical range of email to text messaging service. This Provider offers online features and relatively cost effective SMS distribution which will allow you to send and receive SMS efficiently and effectively. Direct SMS is regarded as a one-stop shop for your marketing and communications needs, offering an easy-to-use, versatile and practical range of email to text messaging service. This Provider offers online and relatively cost effective SMS distribution which will allow you to send and receive SMS efficiently and effectively, whether it be sending messages to individuals, customers, clients or organisations, it just involves one simple step with no setup required. This company provides a Web 2 SMS system which is an ideal solution for clients who want to send and receive SMS messages immediately. There is no software required to install, it is just an easy to use web based solution with an British customer service support. Direct SMS is jam-packed with features that go above and beyond your basic email to SMS service as displayed in the Email to SMS Comparison Providers Table. Any time you want to receive picture or multi-media messages from your customers, staff, stakeholders or even students, DirectSMS can provide an inbound MMS service. They can do all the things the inbound SMS service can do, with the addition of receiving any pictures, videos and any other multi-media files. It is one more option in reaching a constantly connected population. Just like SMS, MMS messages are received free of charge. You only need to pay for an MMS enabled dedicated number to receive text messages. The suite of DirectSMS APIs (Application Programming Interface) makes it easy for developers to integrate SMS messaging into their applications and/or systems. Therefore, if you are a software developer, you no longer need to build your own billing or administration functionality around the SMS services your products offer. With directSMS, you can get to market quicker and save months of development and testing time. And for a complete explanation of their multiple features, they offer a SMS page overview, which discusses several topics, including their latest clients and upgrades to their services. They also provide a free trial (60 free SMS) to the service which will appears the first time you log in. This is far better offer than the other competitors. It has even an immediate pop-up screen asking you if you want to chat about their offers and services. 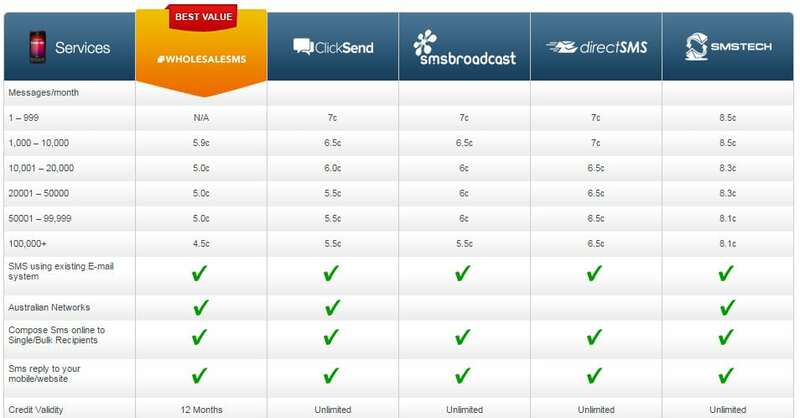 When comparing features offered by all the major Email to SMS British providers, it can be seen from the graphical representation below, that DirectSMS offers a good and valuable range of features rating 86 out of 100, where 100 is excellent range and 0 is a poor range of offers. 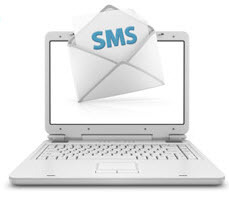 There are three competitors who rank higher than DirectSMS and they are SMS Broadcast, Click Send and Text IT. On the whole, all the providers do offer a good range of features to accommodate your text messaging needs. Our DirectSMS review of Email to SMS UK providers found it is one of the more expensive providers as shown in the Email to SMS Provider Comparison Table on prices below. As can be seen from a snapshot overview of the comparison table of charges on SMS messages distribution on a monthly basis, DirectSMS price range is in the mid range on charges than other text message providers competitors investigated. When looking at low volume of SMS distributed for a month, Direct SMS is around 15% more expensive to engage than the cheapest provider but around 20% cheaper than the more expensive SMSTech. This is similar for medium volumes of 10000 to 50000 sms per month. With large size volume distribution, Direct SMS is around 30% dearer to use than the cheapest provider, WholesaleSMS. It does have unlimited credit validity and provides 100% up-time service level up-time guarantee which is very reassuring and worthy of consideration. It should be pointed out that there is no contract, no cancellation fees and discount may be available. From a graphical representation point of view, as can be seen below, Direct SMS offers a middle of the range pricing policy so that its rating is 58 out of 100. SMS Broadcast, Clickatell, ClickSend and Wholesale SMS all rate much higher, offering a better pricing range. This Email to SMS provider is totally web based, which means there is no software to crash your computer. There is no need to go and build an SMS platform from scratch. You can simply re-brand DirectSMS’ portal with your own logo and colour scheme. It’s an instant SMS platform. All you need is a web browser and Internet access. Direct SMS will save your contacts, and set up groups to manage your contacts. This will mean that you can set up and send to the designated groups within a short period of time. 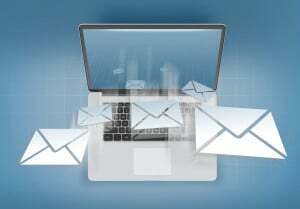 Direct SMS provides a number of other complementary features such as computer 2 mobile, keyword response SMS. Therefore from a reliability aspect on a range of 0 to 100, Direct SMS rates 68 out of a 100, so it does not rank that well compared to its competitors. 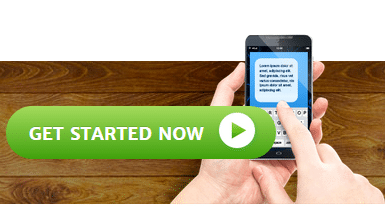 It provides a good and reliable service but not to the extent of SMS Broadcast, Clickatell, ClickSend and Text It. DirectSMS is an British-based SMS provider which offers all year round SMS service using an British support centre. With the number of valued features outlined, our DirectSMS review found them a reputable company and therefore worthy of consideration. Because their pricing is dearer than their direct competitors in the sms domain, this matter needs to be considered prior to engaging DirectSMS. Having a 60 free SMS trial prior to engaging the provider may be a bonus to attracting prospective client. DirectSMS has an impressive list of clients including brands such as Jetstar, QBE, ToysRus, Allianz, nab, Elders and LJHooker to name a few. From a rating of 0 to 10, Click Send achieved a 82 out of a 100, which is good. All the major Email to SMS Providers in UK did rate well with the distribution range from 82 to 91 out of 100. This can be seen in the graphical histogram designed below. The Email to SMS UK Comparison Table was developed to identify and compare the services and products offered by the range of Email to SMS providers through means of an independent yet well analysed SMS Comparison Table. The information has been categorised into a simplified, readable, and easy to follow tabulated format so as to provide you with key information on key selection criteria such as message distribution costs, networks availability, customer service support, credit availability, and so on. It should be stressed that the information provided in the table and our DirectSMS review should only be used as a guide as prices and features may be updated at any time by the cheap providers’ websites without any prior notification. This SMS UK Comparison Table is provided for free to assist you, however a commission may be given from the provider’s site if you click through their website and engage their services. There are no forms of advertising on this site and the authors have made price and other key features the selection elements that have led to the recommendations made on the site. 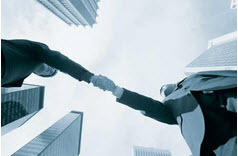 The leading SMS comparison site.